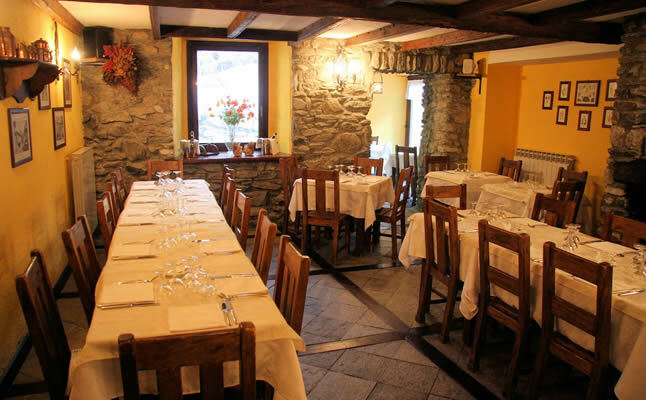 A recently renovated 19th century building on the banks of the River Dora, the Tavernier has heaps of alpine charm with its cosy log fires, comfy chairs and abundance of dried flowers. 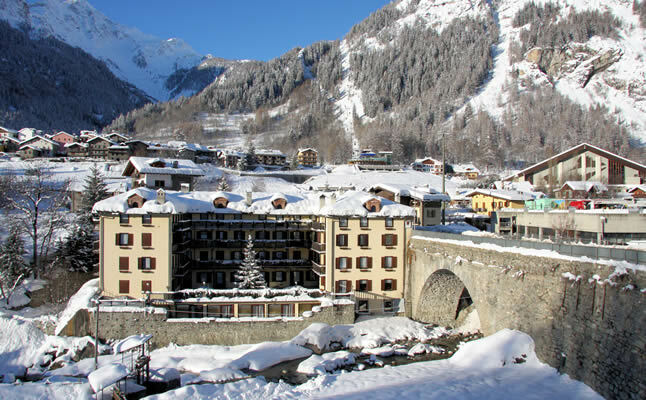 Add to this its excellent spa facilities, its proximity to the centre of Courmayeur (300m) and its stunning views of Mont Blanc and the Tavernier is the perfect base for your stay in the Aosta Valley. Rooms are large and spacious and some are apartment style (very nice!). All have private facilities, TV, mini-bar and telephone. The spa complex has a relaxation room, sauna, small pool with massage jets, waterfall(! 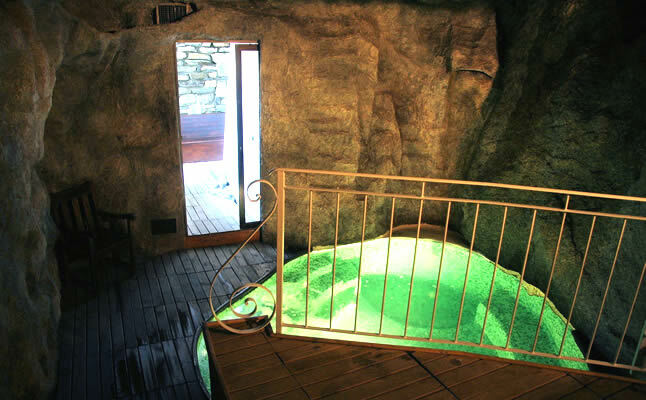 ), two jacuzzis, changing rooms and showers, as well as great views of the mountains and the river. Please note that charges apply and are payable directly to the hotel. Snow conditions permitting, you can ski right back to within easy walking distance of the hotel. The gondola from Dolonne to Plan Chécrouit is also just a short walk away. Parking is available (a small supplement applies). The Tavernier is a popular hotel and we think you'll love it! "Both Edith and her team in the restaurant, as well as the owners of this venue, are just amazing. I feel like I am visiting family now when I arrive at the Tavernier. Forget the 3* rating. This hotel is, and always will be, 5*+ in my opinion." "The food at the Tavernier and the staff are excellent and couldn't do more to help clients in any way they can"
"Tavernier and Edith were great, as on previous occasions - warm welcome, good accommodation and great food." "We hadn't been to the Tavernier before but found the reception friendly and organised - and in an excellent location." "Edith is the most fantastic manager and make our stay so special. The leisure facilities at the Tavernier are wonderful at the end of a day's skiing. I would return to the Tavernier again and again!" 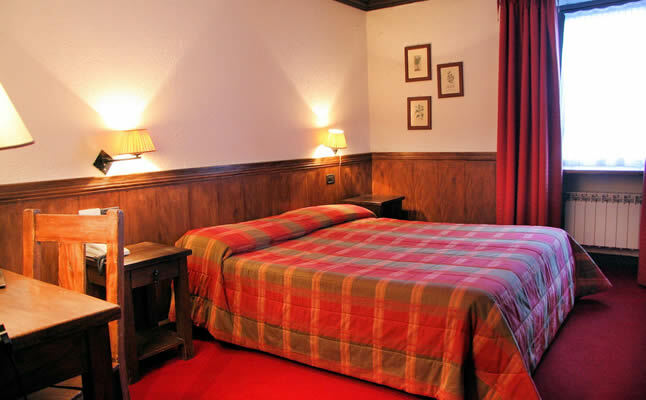 "The Hotel Tavernier was perfect for us - location was great, food outstanding and plentiful and accommodation spacious, warm and comfortable." "The food was fantastic and the service from staff was friendly and helpful." "The food was very good and only a very short walk to the gondola and into Courmayeur after skiing which, after skiing, was a real plus." "As always, Edith at the Tavernier was superb - she is the model hostess. The food was up to its usual excellent standard - can't believe we put on weight after all that skiing! The welcome and the service we received and the standard of care shown by the staff yet again made the Tavernier a 'home from home'."